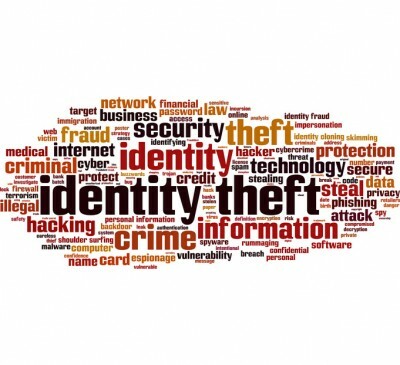 Identity theft is not just about stealing your credit card number. Nowadays, thieves will also try to get your medical information so that they can make fraudulent claims, get prescription medications, or ask for medical care. This is why people are asked to keep their medical information private. It can be very easy for professional thieves to steal your health plan number or social security number. They can use this information to commit medical identity theft. Aside from using your numbers to avail of medical services and medications, they can use this information to bill you with services you never received, or to put false information on your medical records. Remember that it is against the law to let another person use your own Medicare, Medicaid ID, Social Security and insurance number. Personal medical documents like insurance forms, receipts and medical bills should be shredded first before being thrown into the garbage. Before you throw away prescription bottles, destroy the labels on the bottles first. Thieves can trick you by offering health services, medical products, or by pretending to work for an insurance company, the doctor’s office, a clinic or a drug store. This is why you should never divulge your health plan numbers to anyone you do not know. If anyone asks for your personal information, you should ask why it is needed and how your information can be kept safe. Never share your personal information by email. Never share your personal information by phone unless you called the person or unless you know you can trust the office. Always review your medical bills and insurance statements. See if they listed the right doctor and check if they wrote down the correct service you availed of during the right date. Should you see anything wrong, you need to contact the office right away. Make sure that you write down the name of the person you talked with as you file your complaint. If someone else is wrongfully using your personal information for health care or prescription medications, the mistakes will be reflected in your health records. Make sure that you talk to your doctor and pharmacist about the medications you are taking and about your health history. This will help ensure that they have the correct information. Keep in mind that the sooner you detect and report a medical identity theft, the easier it can be for the authorities to stop the thief and to provide you with protection. For more information on the matter, go to the Federal Trade Commission website or call 1-877-IDTHEFT (438-4338). You can also visit the U.S. Health and Human Services Medical Identity Theft and Medicare Fraud.